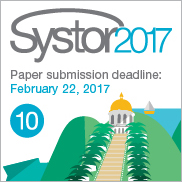 We invite you to submit your work for presentation at SYSTOR 2017, the 10th ACM International Systems and Storage Conference. The conference will take place May 22–24, 2017 in Haifa, Israel. SYSTOR organizers aim to provide an excellent international forum for interaction across the systems research community, appealing and useful to academic and industrial researchers, welcoming both students and seasoned professionals. Following this goal, SYSTOR 2017 will host distinguished keynote speakers and offer an interactive poster session as well as social events. Full papers submitted to SYSTOR 2017 should report original, previously unpublished high-quality research and be at most 10 pages of content, including everything except references. References may use additional pages. The program committee will review all the submitted papers and will notify the authors about the acceptance, providing feedback and requesting modifications and changes. Accepted papers will be presented at the conference in about twenty five minutes talk and included in the conference proceedings, to be published by the ACM. Please follow paper formatting instructions. The author kit, which contains the Latex style and template, is available here. Short papers submitted to SYSTOR 2017 should report original, previously unpublished high-quality research and be at most 5 pages of content, including everything except references. References may use additional pages. As compared to Full Papers, short paper submissions may report on ideas that are still in a preliminary stage of development, interesting negative results, experimental (in)validation of previous findings, controversial positions that challenge common wisdom, or fresh approaches for addressing old problems. The program committee will review all the submitted short papers and will notify the authors about the acceptance, providing feedback and requesting modifications and changes. 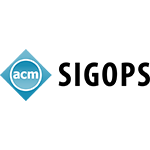 Accepted papers will be presented at the conference in fifteen minutes talk and included in the conference proceedings, to be published by the ACM. Please follow paper formatting instructions. The author kit, which contains the Latex style and template, is available here. Highlight papers are papers that have been accepted to a recent top-tier systems conference or journal and contain exciting research results in the areas of interest to SYSTOR community. A small sub-committee will briefly review these submissions and will select the most suitable ones to be presented at SYSTOR. The corresponding presentations will then be "replayed" at SYSTOR for the benefit of the local community. A highlight paper submission should include one page containing a title and a short (1-paragraph) abstract, and an extended abstract as a single-page PDF file, which (i) explains the significance of the paper (i.e. why will this make a good highlight paper?) (ii) contains the full bibliographic reference of the highlighted paper, and a link to an on-line version (freely accessible or ACM DL / IEEE Xplore). Authors wishing to share an early work, not yet ready for submission to a refereed conference or journal, or to describe a technical (non-marketing) innovation are welcome to submit a poster. Accepted posters will be published as an extended abstract in the proceedings in the ACM Digital Library, while authors will retain the copyright for these contributions. Authors of accepted posters are expected to prepare and present their posters and accompanying extended abstracts according to poster formatting instructions. The author kit, which contains the Latex style and template, is available here. Authors of papers and posters accepted for publication should follow these instructions to their work for inclusion in ACM proceedings. The corresponding author of the accepted paper or poster (the first by default) will receive an automated email from rightsreview@acm.org regarding the ACM copyright. If you haven't, please check your spam folders and/or contact our publication chair Aviad Zuck at aviadzuc@cs.technion.ac.il. After all the authors complete the copyright form, the correct rights management text and bibliographic strip will be mailed to the corresponding author, to be placed in the publishable document. Please follow the paper formatting instructions above. The detailed ACM Computing Classification System can be found at http://www.acm.org/about/class/class/2012. The final publishable versions should be uploaded to the submission website by April 26th. In order to upload, select "Edit paper", and then upload it to the "Final version".